Super 16 is a portal that transports you to the wonderful world of African storytelling through the grainy magic of film on the Internet. We bring to you a selection of short films that are available to stream online. So treat your eyes for the next few minutes of your day with four of our favorite shorts. Scrap Metal Man by Alex Wondergem and Adu lalouschek takes a peak into the lives of scrap dealers in the world’s largest e-waste dump in Agbobloshie in Accra. The documentary film has a silent yet warm appeal as it takes a fly on the wall perspectives to reveal the intricacies that accompany turning trash into currency. This intuitive and unbiased look allows the viewer to then examine the lives of these men who roam the streets of Accra finding value in the abandoned, in a bid to survive the city. Accra refuses to acknowledge its waste problem and Scrap Metal Men sheds a light on what is really going on with the tonnes of electronic waste that enter the city legally with no plans of recycling. Igbo-Tamil writer and filmmaker Akwaeke Emezi knows how to bring out the magic of words and weave them into intricate edifices that tell complex stories. She carries this pristine attention to detail and fascination with unique yet unexplored perspectives into the realm of film. Break Fruit is her latest offering and it portrays a complex relationship with nebulous dialogue, dubbed over in Igbo. It grips your attention with its powerful yet intense moments like her other short, Ududeagu. Break fruit relies on shock value but manages to stay entertaining by delving into personal and psychological issues with its well-coloured visuals and unapologetic Igbo. Frances Bodomo is doing some of the most interesting in African film at the moment. The young Ghanaian filmmaker is raising the bar for African shorts, both thematically and aesthetically with her releases like Boneshaker and Afronauts. Produced in 2013 through her own efforts and a successful Crowdfunding campaign, Boneshaker is finally available to stream online. The film starring Quvenzhané Wallis details the experiences of an immigrant African with a child perceived to be afflicted with evil spirits. Shot with Super 16 film, Boneshaker has a slippery and nostalgic glow with the grainy and orange hued images of the southern vegetation, which are just a joy to watch. Thematically, the short film resonates an intimate look as some taboo topics within African families through an honest lens. It’s worth looking out for more work from Bodomo as she continues learn ambitiously and bring rich and riveting stories to the screen. The African experience around the world is so unique yet relatable to different Africans in all the parts of the world as well as people of African descent spread all over. Musician turned filmmaker, Blitz The Ambassador attempts to tell a story that radiates the shared experience among Africans whilst highlighting the beauty of their lives and institutions. The three part short film, shot in Accra, New York and Bahia uses spirituality to show how Africans confront issues not just in the present but across space and time; be it gentrification, independence or migration. With dazzling images, that showcase Africans in a positive and beautiful light, Diasporadical Trilogia leaves audiences with different understandings due to its open-ended nature. The final part, Running is our favourite. 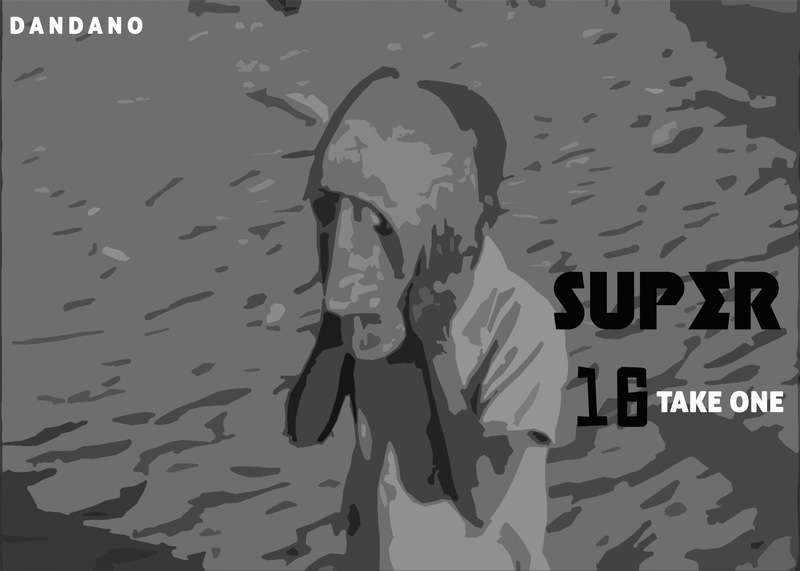 Super 16 is a recurring series on Dandano and any filmmaker wishing to be feature can contact us. Readers can also recommend shorts to be featured in the comments box below.